Here are a few samples of Cardinals owned by the people who frequent this web site. Click on each image to bring up a larger (and slower loading) image in a new window. Also check out the gallery of aircraft Photographed in the air. This is an old page, the new system allows members to upload their own images and tell their story as part of their member profile. Check it out! 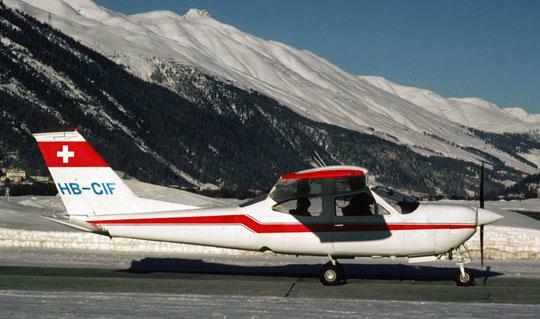 n8yq is Kris W. Lethin's 1972 Cardinal 177B. 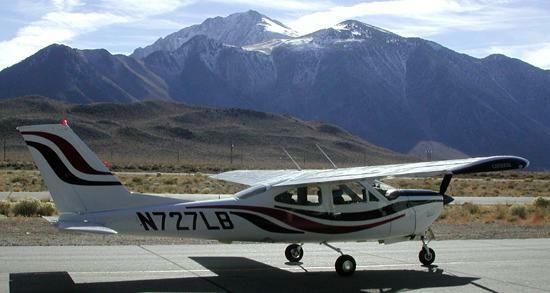 The airplane's home base is Merrill Field, Anchorage, Alaska. 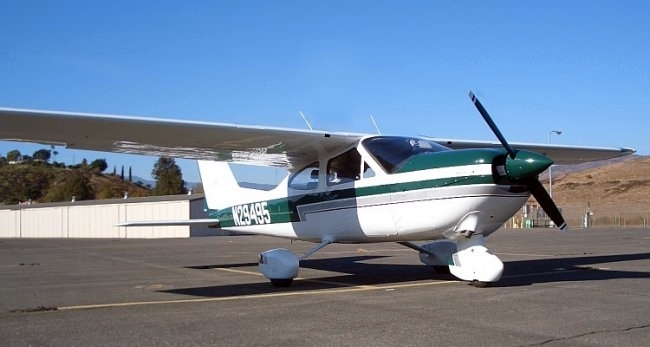 Based in West Fargo, ND, Craig Schroeder and Wayne Tranby's airplane is sporting new paint, interior, and zero time engine and prop. 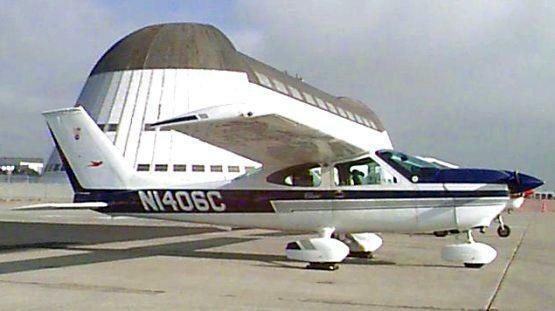 Jim Dunn sent this one in and pointed out that one wing must have been replaced as the vents don't match. David Dressler from Bend, OR shares the paint scheme he found that worked for him. owned by Sal Lagonia and Norm Freed and based at KHPN as it taxi's in for it's annual at 44N. Harold Trimm keeps this '68 at Greene, NY which is a 2300 ft grass field and says the Powerflow helps a lot, he's never had a problem with the short field. 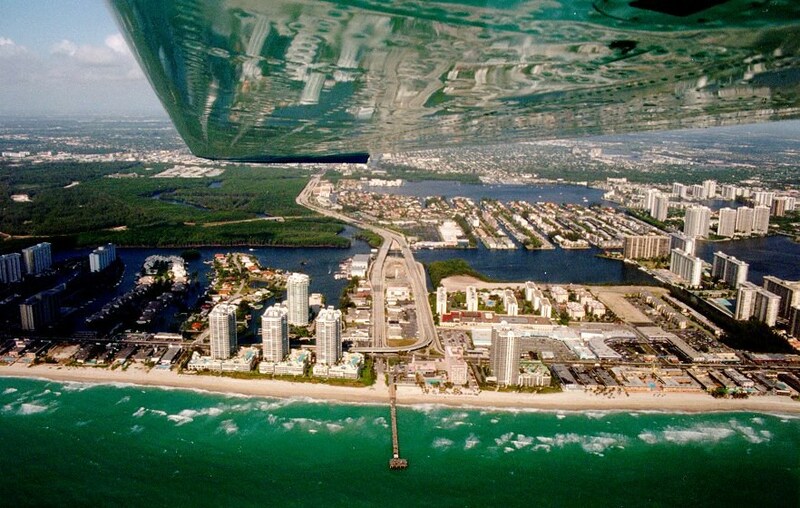 Stan and Linda Weber fly this 70FG to their other hobby, sky diving. Guy & Nancy Forshey flying their 1976 Fixed Gear over Raystown Lake in PA. Their son Brenton just got his ticket in this airplane. 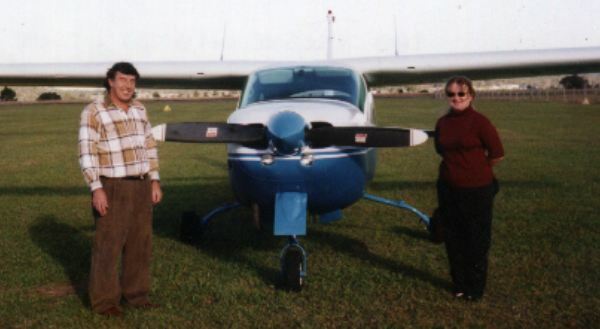 Dee Ann Ediger & Ken Hollrah base their '68 in Enid OK, and have a grass strip a few miles east of town. 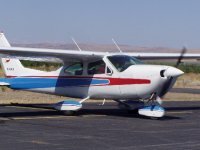 The CAP Aero Flyers Club in Ocala, Fl own this 1971 177B model. 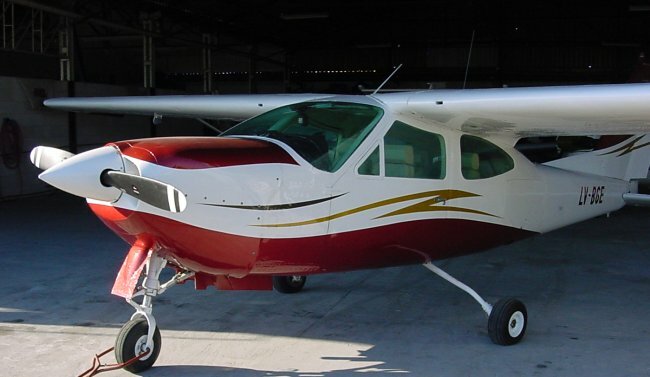 The paint scheme is the melding of two of the newer 172SP paint schemes with our color choices. Christian Cook's Low Time 1972 177B, flys like a dream. Did the pre-buy from the CFO checklist, found 56 items. 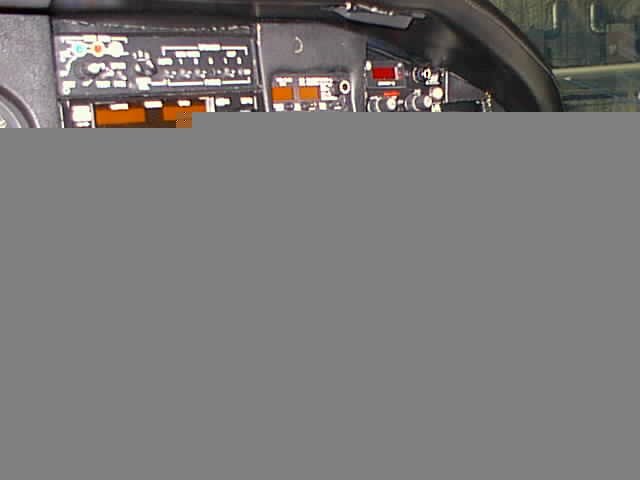 Now learning to fly it! This 1973 is owned by Richard Dagle. 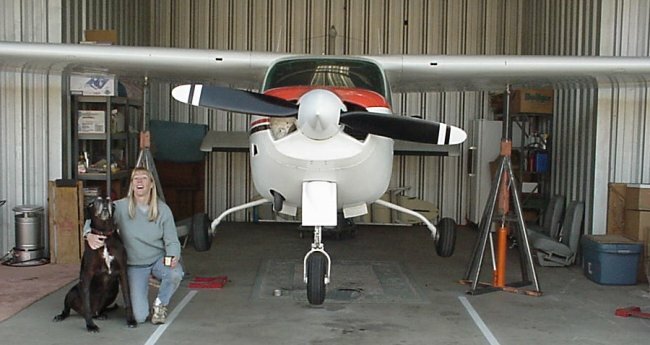 Chuck Geeslin has done a lot to his airplane, it's about as well equipt as one can imagine. He's based in Florida, looks like a nice airport. Here is a shot of his panel. Pete Pearson shares: "Here is my "new to me" 68 FG. 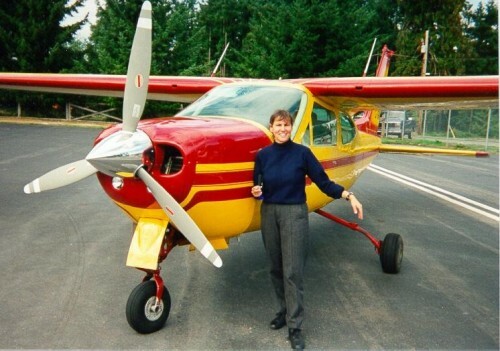 I am removing all the old avionics and installing a new Garmin 300XL and a King KNS-80, a powerflow exhaust system and a new coat of feathers which of course will be red in honor of her name sake and our state bird." Robert and Kris Brock have a nice looking '78 Classic here, 1100TT and always hangared. It has all the gadgets and lives near Mt Adams, in the background. 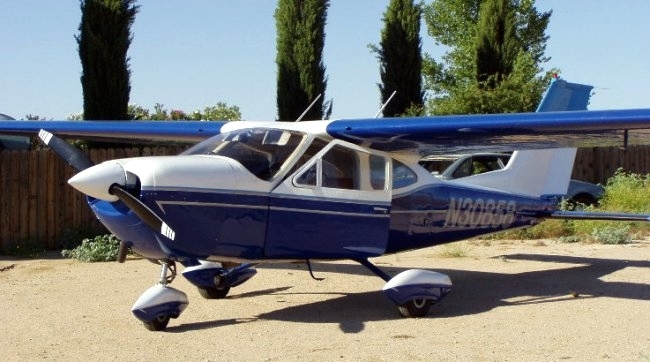 David LaFaille is justifiably proud of his first aircraft, a '68 with 180 conversion. He has a Horton kit and enough toys to keep him busy, but is pondering a Powerflow system for the future. Jeff Lear is the lucky owner of this Cardinal, owned in the past by Joe Pope. 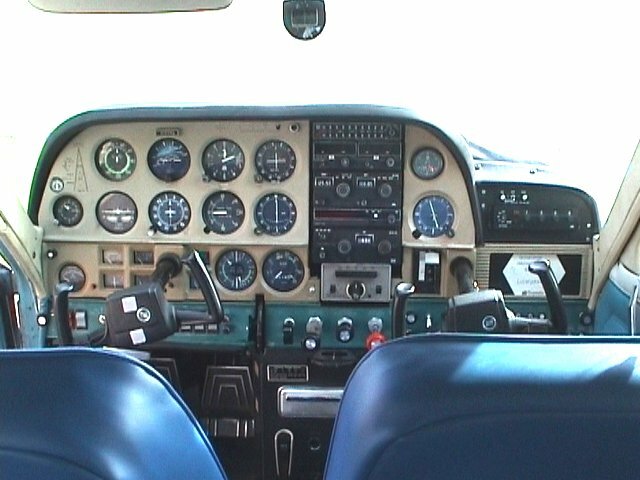 Joe put in a nice engine, but Jeff has added new glass, paint and avionics to make it even better. It's a Scheme Designer's paint design, and is based in Nashville TN. Here is a photo from Bill Hawkins. Here is a photo send in by new member Guido Colli. VH-WSE has had an extensive inner refit and looks great inside. 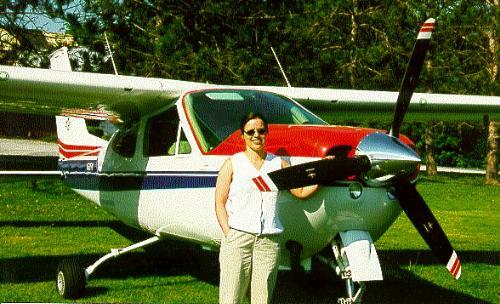 We purchased the plane in Jan 2001 and we are very pleased with its performance. The plane is hangared at Taree, on the mid north coast of NSW Australia. 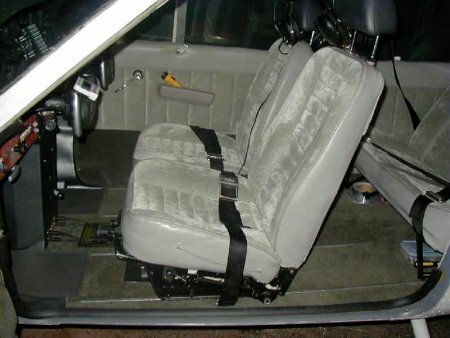 1975 FG with a just completed interior upgrade. Based at Bowling Green KY (KBWG) Bob Pitchford. He also sent a fancy version of this photo with other views inlaid. Roland Primus writes: "My cardinal it is a 75, seen here at ST'Moritz Switzerland. This is the nearest airport to my homebase Bad Ragaz. Your page has helpt me already a lot with the buying and other stuff. All the best from Switz. Also another view. 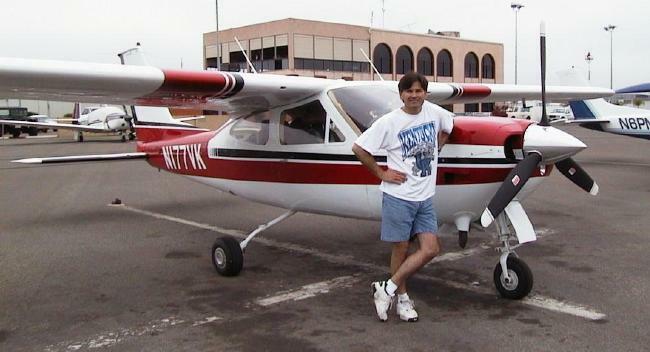 Vince sends this picture of himself and his freshly painted airplane, back in the states after a stint in Europe. Bruce Hutchings offers this photo of his 77' RG in Whitefield, NH. Since purchasing this RG last October, he's re-done the panel and the interior. His wife suggests the paint scheme should be next. 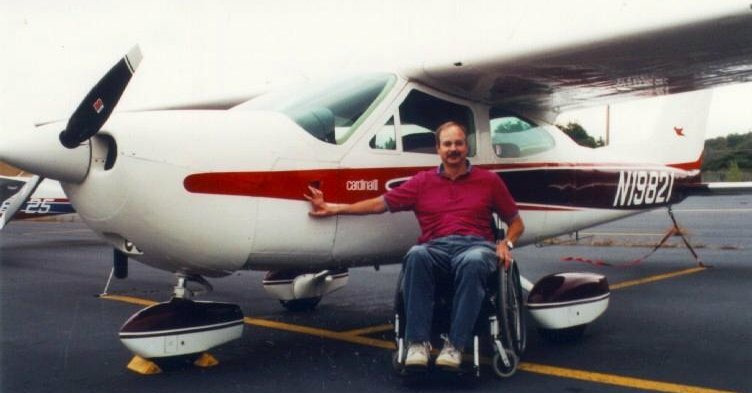 Jeff Farnam sends this picture and says: "I bought a Cardinal because it was the most suitable choice for a wheelchair user but that choice put me in a great plane. It's a 74 with very low time 1130 TTAF." Looks like quite a find, Jeff! Familiar plane, new owner! 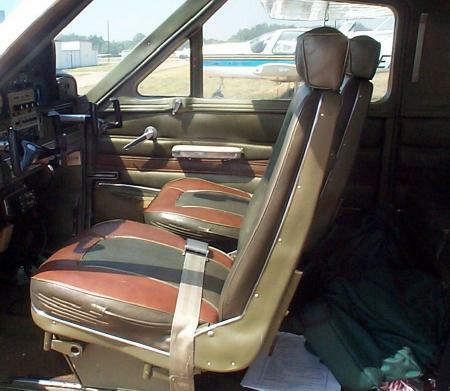 Steve Thomas got this '74 gem from CFO member Eliot Mason, and has been improving the interior since. This picture is taken at El Mirage dry lake in California. Steve Law sent this shot of his '75 RG. He's planning some panel upgrades in the near future. Here is William Curtis's Cardinal. 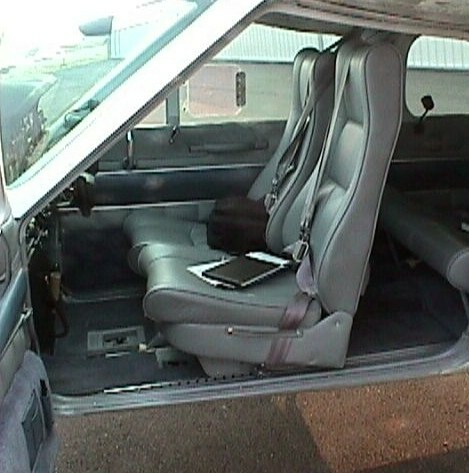 He's done a lot of work on the interior and panel, including several Airtex upgrades and a new pedestal overlay. See his interior on this page. Dennis Cunneen sends this shot of his '72 RG in Everett Washington. It's new paint looks great even under grey skies. 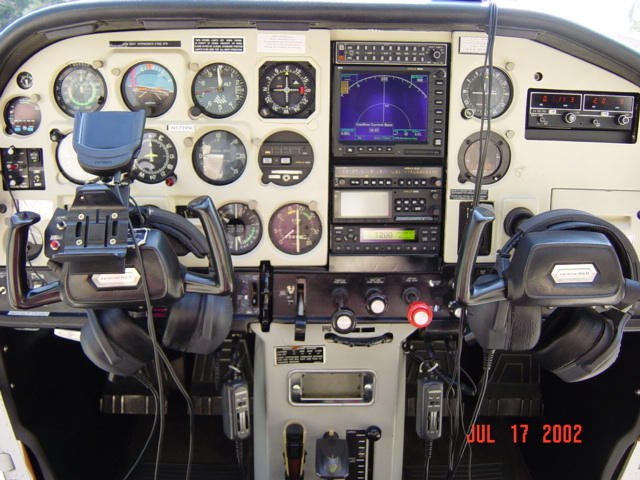 He's done a lot of panel upgrades, including an Stec autopilot. Here is a photo from Bruce Wilde Australia. 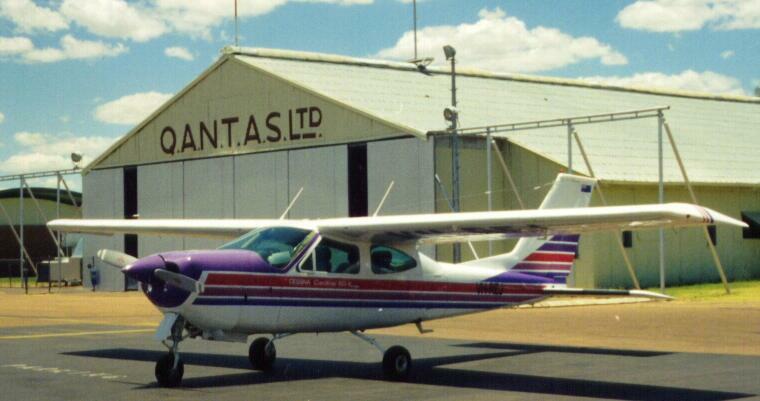 The first is outside the original QANTAS hangar in Longreach, Queensland AUSTRALIA. The second was taken at sunset in Rockhampton also in Queensland AUSTRALIA. Both were both taken during the delivery flight from Brisbane to Darwin. He also sent a picture in the Australian sunset. 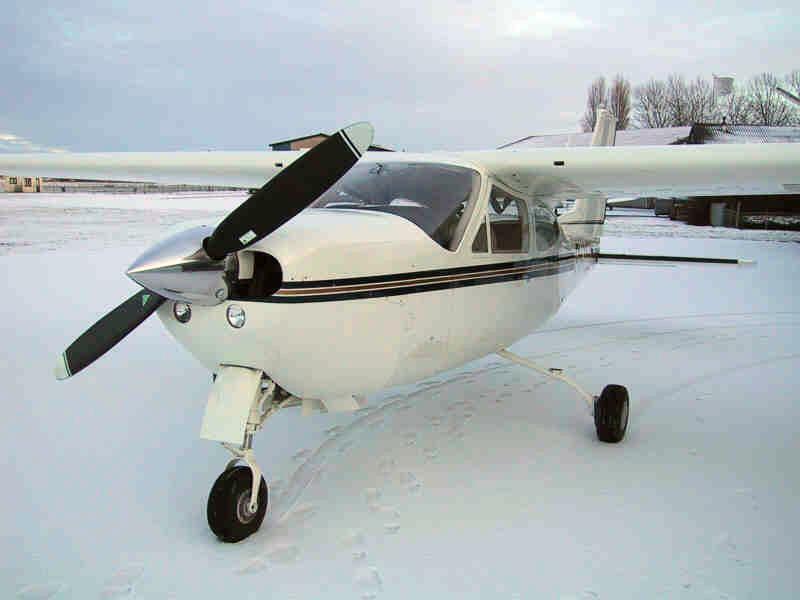 Martin Westdijk writes: This is my 1974 fully refurbished 177RG from The Netherlands, I have my own paint/interior shop and I am a cessna dealer in the Netherlands. Even the engine has been overhauled by my own company. I am a fan of the cardinal, and my goal was to make one of the nicest ones. He also sent pictures of his panel. 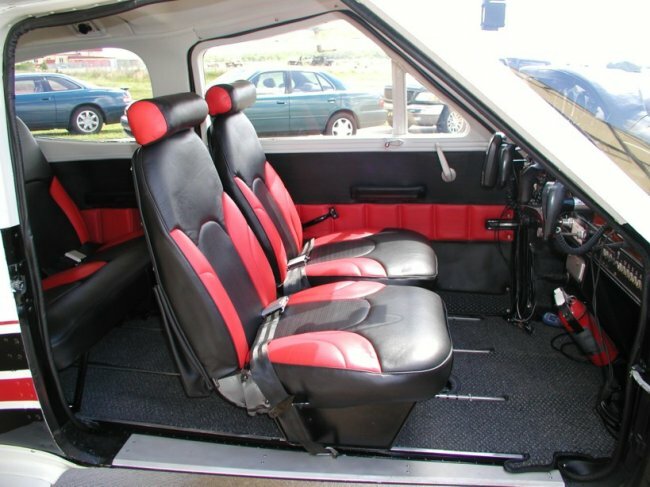 and interior. Jeff Kalis bought a digital camera to capture his '73 with a '76 scheme, based in Greenville MI. Looks nice! Danny Rey of Sugar Land, Tx. is another new CFO member with a new paint job. It was done by Alan Woodson of Texas Aerocolor in Brady, TX. Gary Crittenden sent a couple of pics of N30820, a 1970 177B. He uses it for Coast Guard safety patrols and Search and Rescue when at winter home Fort Myers, FL, hence the coast guard emblem. You can also see Garyin this shot. Larry and Ginger Osborne checked out CFO before buying their beautiful '77 RG. Larry wrote a nice piece on flying the Cardinal and their cardinal will pop up again from time to time. Here's a side shot of this very clean airplane. Dean E Telford offers this shot of his 1973 RG which he has had for eight years. Pat Stoyer sent this shot of his very nice 1976 C177B. He's had it since Oct. 98 and has been improving it ever since, based at Tamiami. He's got the whole story on this airplane, and a long list of things he's planning to improve. 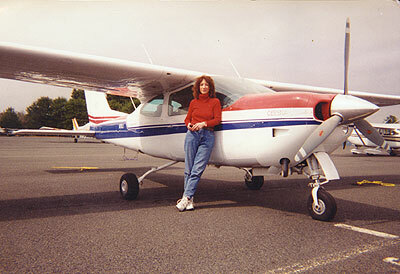 Joyce Clarke offers this shot of her 1973 RG purchased in 1989 and residing in Nanaimo, B.C. She did have a bad day a few years back, but it's looking good now! 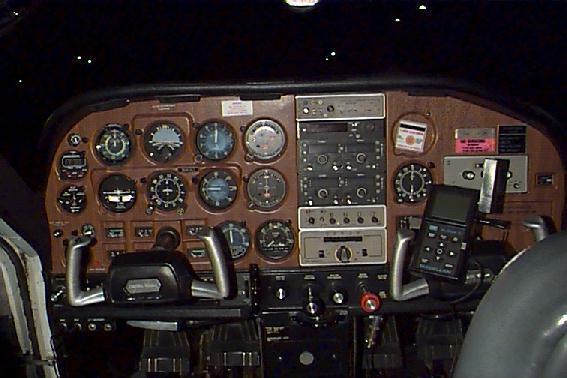 Steve Carstensen sends this picture of his airplane, and his panel . Bob Spofford has new paint on his airplane and it's looking good. Check out this page for an interesting story about how he designed his paint job. Bob Myers was the lucky guy who got CFO digest editor Paul Millner's FG with it's unusual paint job, not to mention the unusual Turbo under the hood. Between the fame and the paint, the digest is the forum for frequent 67MM sighting reports. Here's Russ MacDonald's new paint job, done in AcryGlo by Ada Paint, In Ada Ok. Looks nice, Russ! Duane Allen sends this shot of his pride and joy in front of a blimp hanger at Moffett. 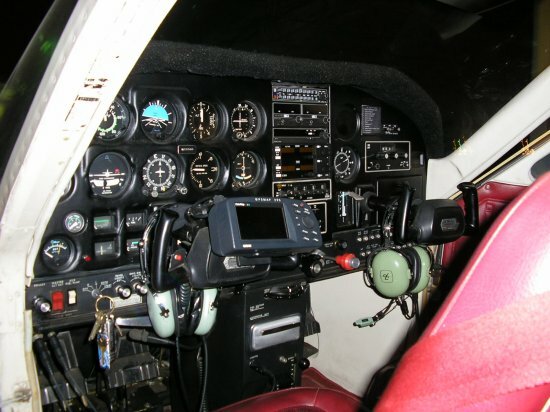 Check out his Panel,a stock Cessna panel but with Cessna RT-485B radios from a 210. Also check out the way he babies his Cardinal, with wall to wall carpeting even! 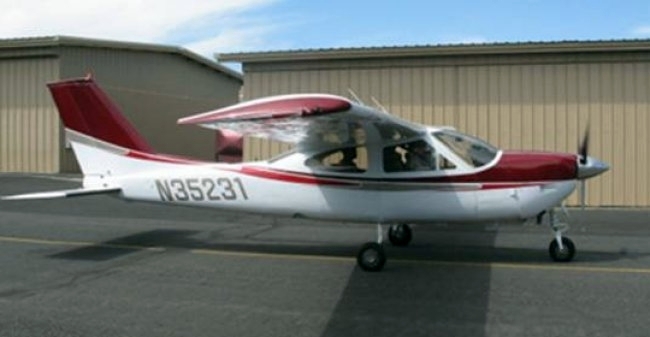 Brent Willits has a new airplane, a nice RG that he's tuning up to higher standards. Ken Kresmary keeps his fixed gear Cardinal on a farm strip in Illinois. He has some interesting instruments in his panel . This is the late Steve Conner's aircraft, half '68 and half '72. Here is a nice RG owned by Michael Clary, Steven Larsen and Kim Presson. 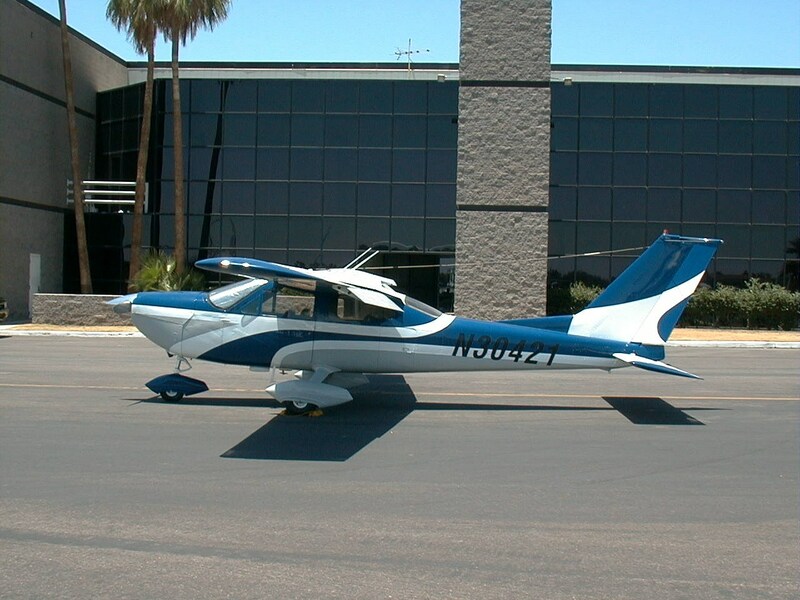 Tom Philbeck sends this shot of his airplane with good looking 10 year old paint. 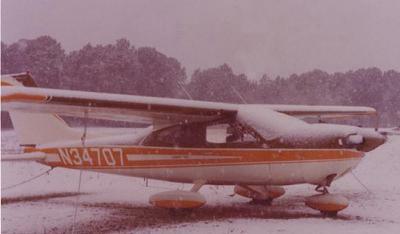 He also offered this picture of his airplane during a snowstorm in Plains, Ga..
Ladi Kolacni owns this nice '76 RG, pictures of which permiate this web site. You can also hear the story of it's purchase. Here is a '75 fixed gear with new paint, new glass, and an Airtex/Kinzie interior under construction, owned by Ray Reeder. It's based at Lancaster, PA (LNS), and borrowed the paint design from Bob Stofford. The resemblence, as you might notice, is remarkable! You can see Bob's airplane on this page. This one is owned by Jonathan Spencer, Dan Healey, and Steve Fairfax. Steve and Jonathan's wives designed the paint scheme, now about 2 years old. 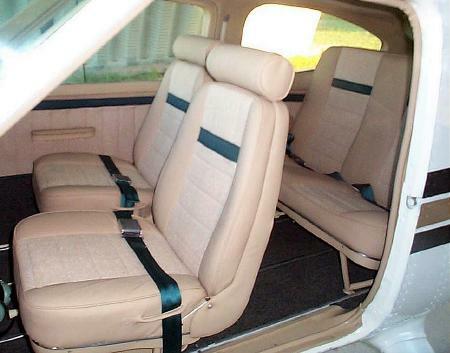 Their next project is the interior. DW Taylor sends these shots of his airplane. Check out his panel and a shot of his airplane in regular lighting. Richard Cooper flies this nice RG. He has a wood overlay on his panel, and the interior looks particularly nice. Here's Frank Rosendale enjoying his new tail numbers. Tom & Trish O'Neill own this '75 FG with a nice panel. It has an Apollo GX60 & MX20, Century HSI, PowerFlow with Roy's Short Stack. Hal Gosling bought this airplane after it came west from Ohio and was substantially updated. 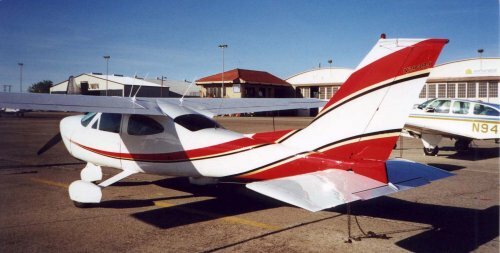 John Peck bought this nicely-equipped 1977 Cardinal RG, N52044, in January 2007 after renting Cardinal RG's for a number of years. She is shown here at Roche Harbor, WA. 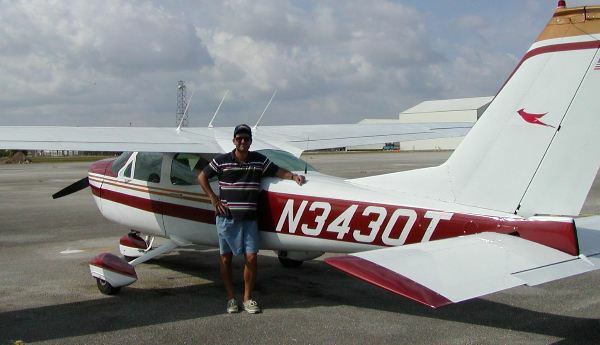 Rick Hale purchased his 76 FG in 2004, and earned his license in it. 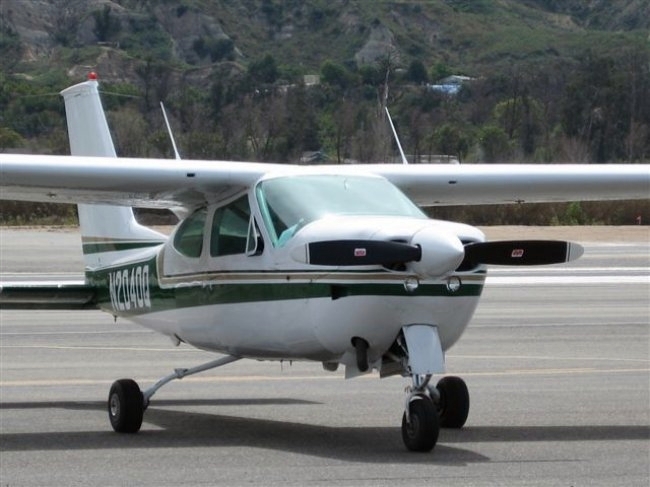 He says "The Cardinal is the best looking plane Cessna ever built." Purchased in June 2007, this is Brian Squire's 1976 Cardinal RG # 76177. 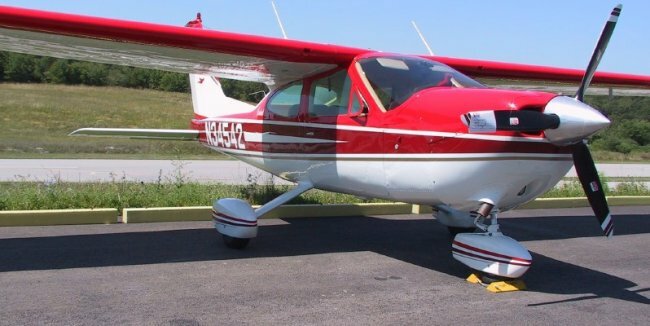 Based at Waupaca WI PCZ After adding a KLN 94 GPS and fixing up parts of the interior makes this Cardinal a pleasure to fly. Tad and Frances Page own this nice FG, based in Wilkes Barre, PA.
Heinz Neuhoff owns this one. Jeff and Kathie Davis own this 1974 B with an indisguinishable registration number. Stephen Fraser owns this 1976 RG since 1994. Looks like stock '76 paint in yellow. 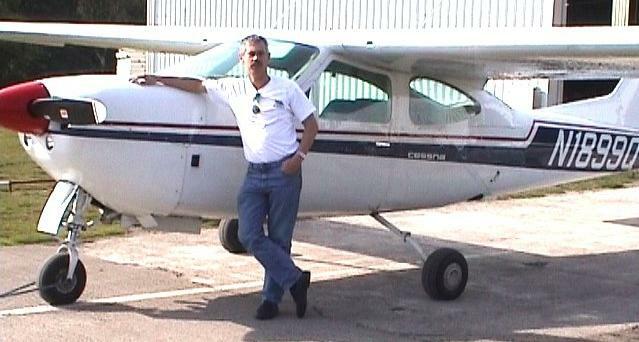 Fernando Castagna sends this picture of his airplane from Buenos Aires, Argentine. 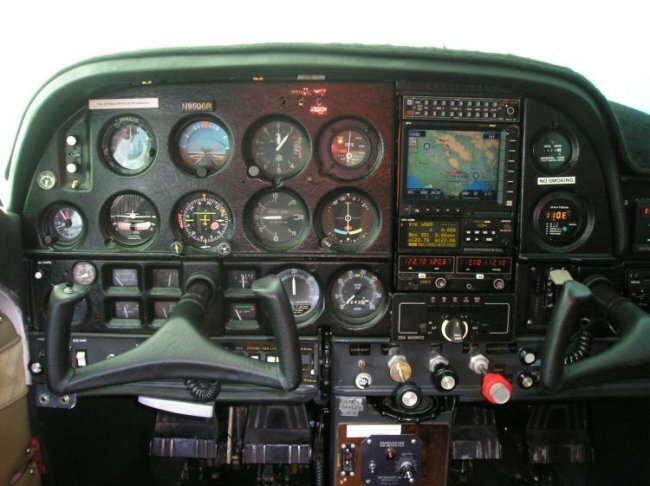 Jon Keeter has replaced the avionics, interior, and paint over the last 3 years. His '76 is based in Marshfield, MA. Coleen is working on her A&P, and started by building a set of jacks. Here she proves that they work pretty well. Gary Harper and keeps this nice bird in WV. 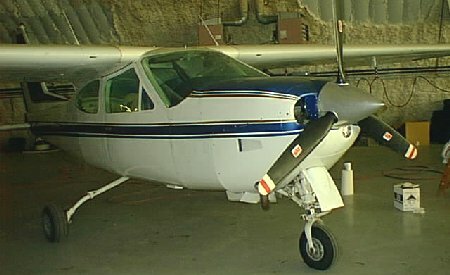 The aircraft is N35100 and is a 1975 model, painted in what Gary hopes to be a 1976 paint scheme. It has about 1100 hrs. total time. 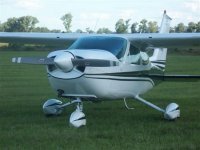 Jean-Louis Barrieres bought this plane 3 years ago, is based in Chartres in France and flies in Europe, Italia (Venice), Spain North Africa and Marocco. It was made in 1972 by Reims in France and has 4200 hours..
"Here is Jim's and my Green machine. 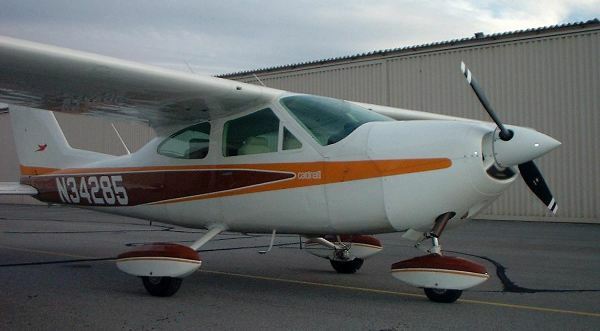 Jim took it up to Oshkosh just last month, and he said it was sure easy to spot!" David Ayre Here is a shot of his panel. Paul Tonelli shares this shot of his airplane in Budapest, where he is now getting book performance thanks to advice from CFO members. He thanks Gus for introducing him to CFO. Brian Estes writes: "Here is a picture of my newly refurbished 78RG. Purchased in late 2001 from 18 year owner. All original and NDH. 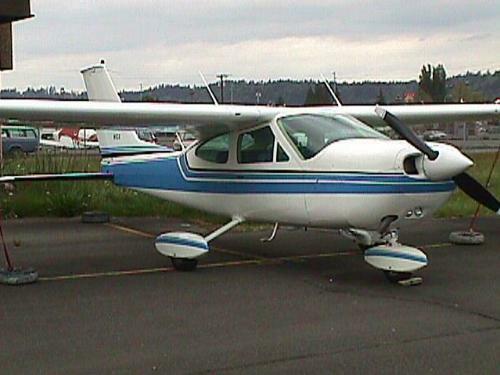 Now with new paint, windows, interior, and avionics." Here is a shot of his panel. Paul and Eva sent this shot of their '68 Cardinal. SE registration.. where in the world are you? Here is my '77 FG. 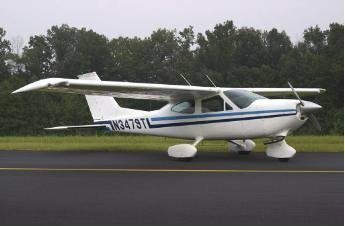 I bought the plane in 1989 when it had 1150 hours, it now has 2390. 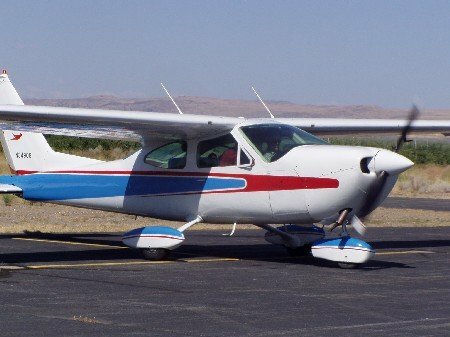 I have replaced all the Cessna radios, overhauled the engine, installed a new leather interior, and had the plane painted by Allen Woodson (1995). 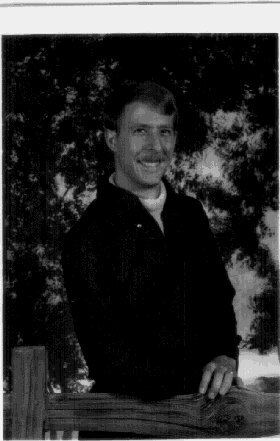 Larry W. James, M.D. Thomas Kehr fessed up to owning this nice '78 RG, as it's picture arrived by mysterious means. From several clues I'm guessing it lives in Germany. Karl Gjertsen sends this shot of his '75 FG in the UK. 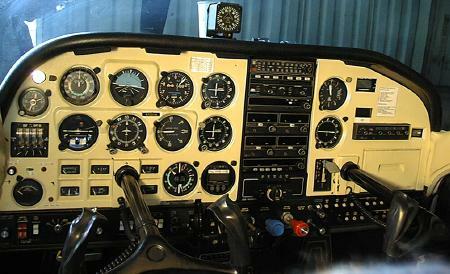 It has a nice panel with a Garmin 430. Mike Bond writes: its about time to add our 'plane to the gallery! 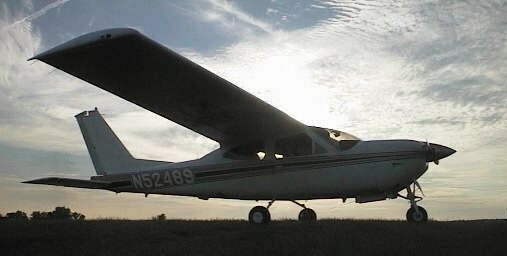 We've now had it for one year and have flown it over 100hrs. Both my wife, Ann, and I take turns logging time. 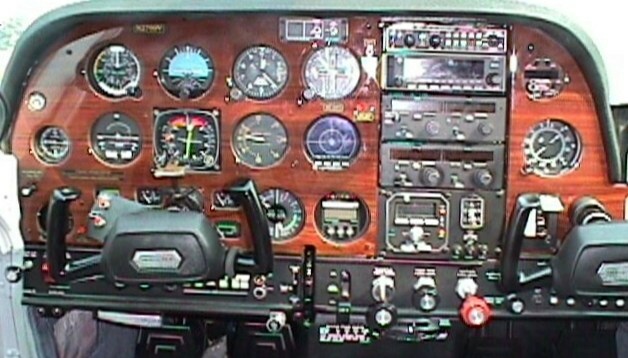 It makes a great IFR platform as we found out after 2 hrs IMC on the way to the 2001 Nanaimo fly-in! This comes from Russ & Marnie Dent: We purchased N633DA in April 2000 at Tacoma, Washington; now based at Ryan Field in Tucson, AZ. 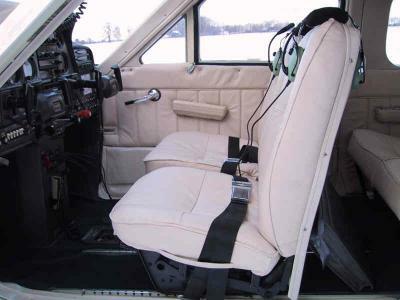 The former owner had just finished new base-coat/clear-coat paint, leather interior, and updated avionics. The 1975 177B has made several trips to Denver, and almost monthly trips to Mexico with the Flying Samaritans. 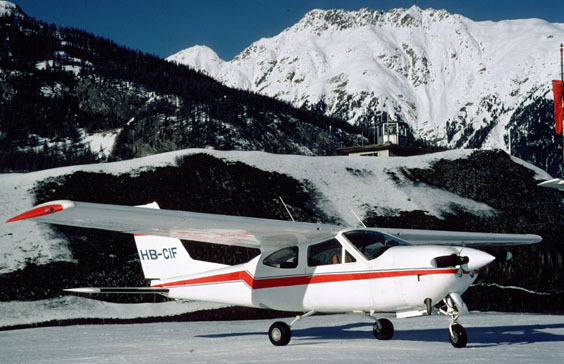 This aircraft is owned by a partnership of four that has changed over the years. Currently Ray Duke, John Roberts, Skip Kilmer, and Louise Scudieri. It is based out of Addison, [KADS] just north of Love Field [KDAL] in Dallas, Texas. Terry Pickering sends this picture of his airplane. Roy Trillia worked with Craig Barnett on this paint scheme, and says the Power Flow system is a nice addition. Check out the tail on this page. 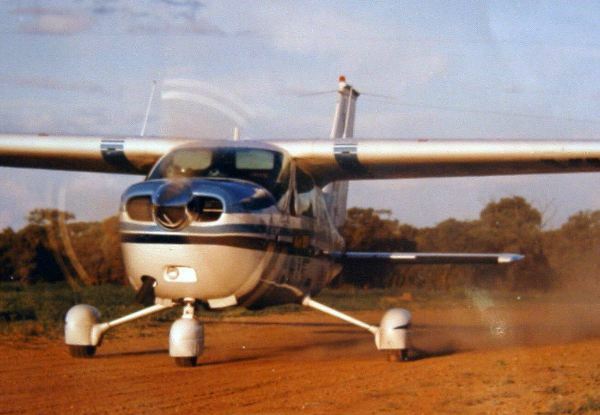 Jeremy Turner sends this picture of his Cardinal from South Africa and writes: For a 63-year old retired commercial pilot with 13,000+ hours, this beautiful aeroplane exceeds all my expectations. Do I miss my G-IV? - not really!" Here is James Engberg with his low time 77 FG. 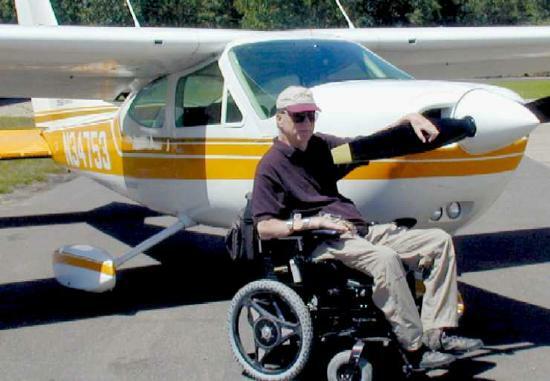 He's based in Southbridge MA, and says it is a great airplane even before considering it's great wheelchair access. Here's Rosalie White with her Cardinal, N7VJ. She has owned it since 1999 and still loves it. 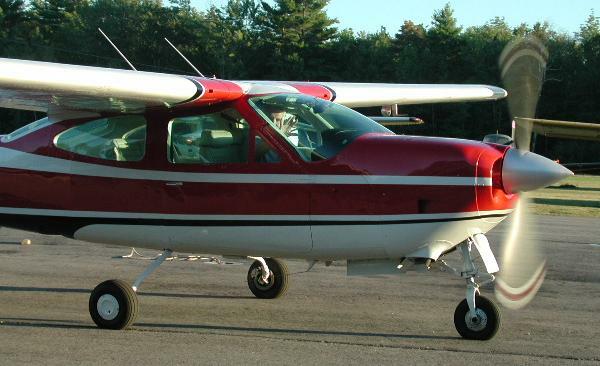 Jim Nicholson sends this picture of his aircraft, N8248G, taken at Wolfeboro, NH. This is Mike Brown's 72 FG. He purchased it in late 1997. New engine, paint, interior, windows, etc.etc. Based in Crossville, TN CSV. Hope to show it off at one of the Fly-ins next year. Richard Shinkle writes: My wife Marge and I bought this 1978 Cardinal Classic in July of 1999. It was in relatively good shape. 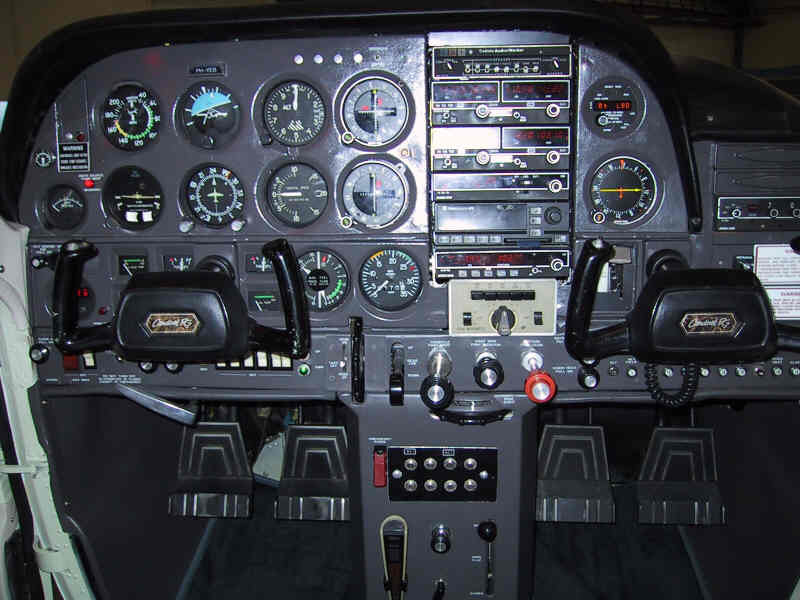 We have added a 4-place intercom, Garmin 430, and a lot of TLC. We are based out of Bedford, MA (BED) and we both love flying the Cardinal. Erald de Hoog writes: "Here is my RG, based in Belgium, and it's panel. 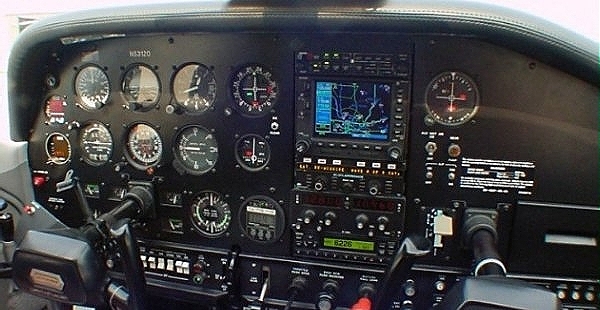 Pity enough the panel is before I've build in the GNS430 and the new Stec 50 autopilot. " No, we don't know why it has an 'N' number.. but he sent a picture of his panel. Here is a shot of Dr. Dennis Calvin's 1977B. New member Jody Pearson has owned this aircraft for 15 years but has recently (nearly) completed a rebuild. Here is Dave Norton's '70 Cardinal, sporing what looks like a '78 paint scheme. He just completed the first annual with no major surprises, and did the stab brackets at the same time. 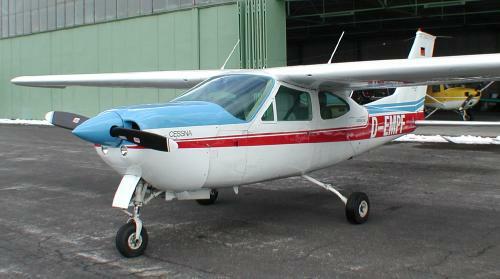 A. Rivas recently purchased this 1974 177B. James Bond sent this shot of his Cardinal, 1968 model, original color and paint. 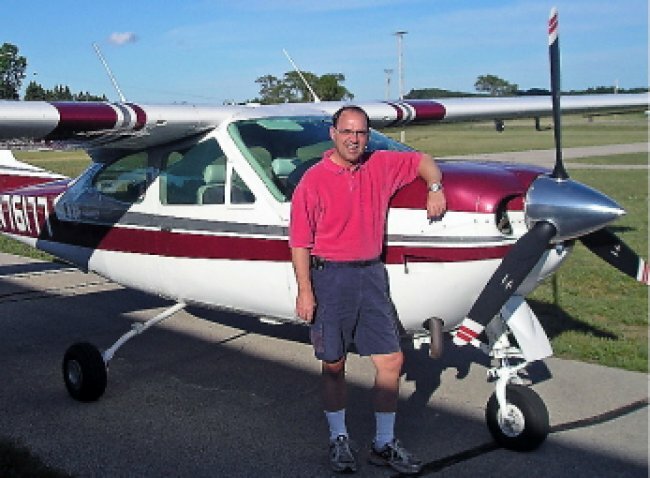 David M. Finkel updated his picture of his '70 FG pride and joy, now that he has a three bladed prop. His assessment so far is: "very smooth, very quiet, very expensive (ouch)." Pascal Gosselin offers this shot of his airplane, appropriately placed in a scene from the frozen north. Palmer Gerhing flies this nice looking FG. Also check out his panel. Craig Barnett put a lot of work into his '73 RG, and it's looking good with new paint. He had to install tailcone scoops in order to get his Carbon Monoxide levels down. 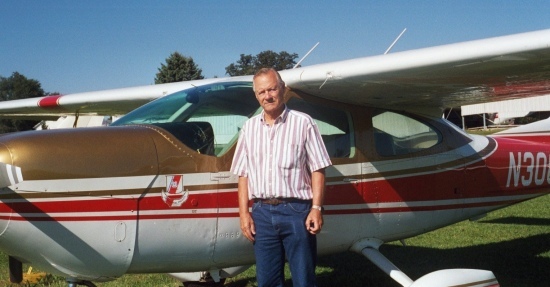 CFO Member Tom Benenson was showing off a new paint job at Green Bay in 1997. 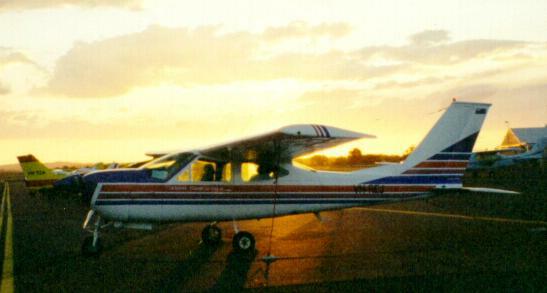 Colin Fisher based his new paint scheme on Paul's aircraft (pictured above.) Looks like it turned out pretty well! Colin promises to send us the story of his painting project soon. Click on the image to see the entire airplane. By way of Alewyn Stolk comes this picture of Stu Aplin's airplane, fresh from a paint job at Holiday Paint Ranch, Apple Valley, CA. There are a lot of pictures of Marc's '76 RG scattered through the technical notes, now you can see the airplane they are in! Also check out his panel. Here's a very green airplane owned by Gus Gillespie for the past 4 years and 1000 hours. He's been flying 40 years now and loves his Cardinal. Kim Peck sent this shot of his airplane. Here's one owned by Pete Vozzo, Rick Denson and Bob Sherrod in Madison, Mississippi. 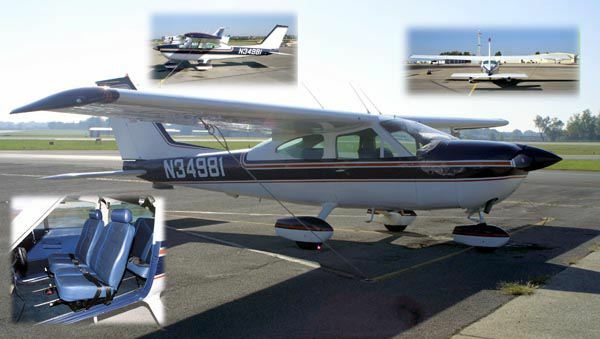 The previous owner took these pictures of Michael Watson's airplane. 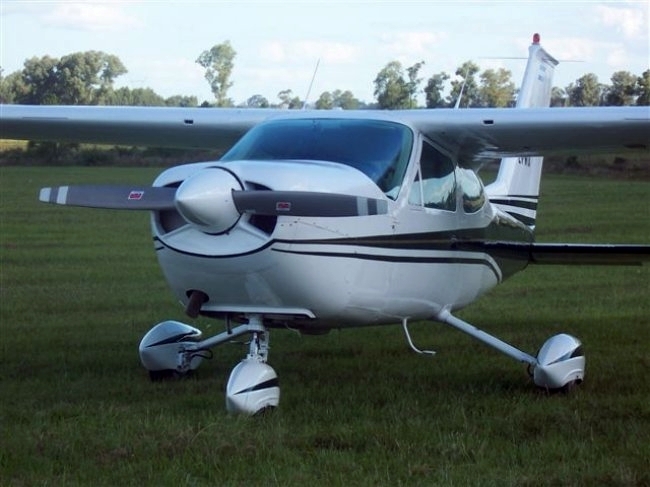 Brian Ward just purchased this '71 177B last September and flys out of Burlington NC (BUY). Vince Endter is a source of great aircraft data, most of it taken in flights of this turbo RG. You can check out his panel or an in-depth review of this aircraft. Patrick and Nancy Reagen sent in this shot of their '78 in original paint, based in Westerly Rhode Island. Ken & Russ Cartmill base this '69 Fg at Lawrenceville GA, having recently brought it from Las Vegas. Ollie Crinkelmeyer owns this 1976 177B. This came from a typical AOL source.. no name mentioned. They report this to be "A before and after photo of our 1976 177B, recently painted in December 1999. 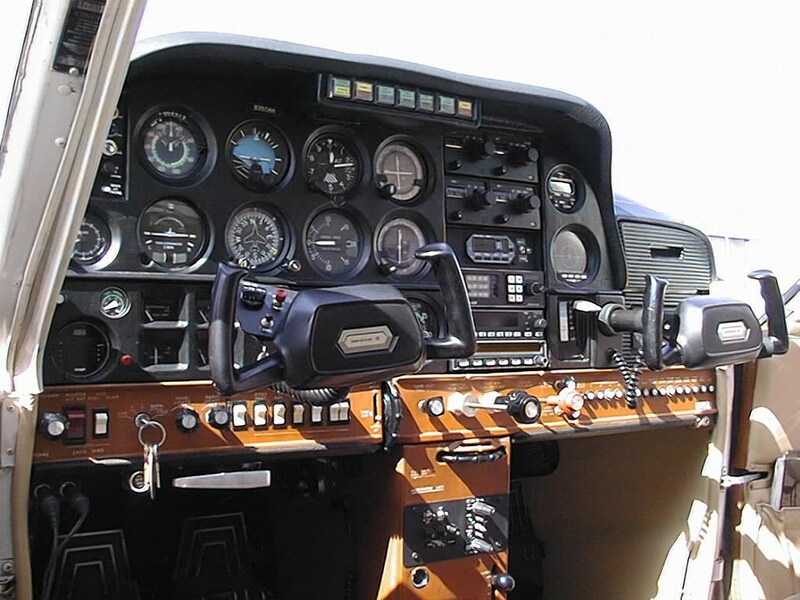 Housatonic Flying Club"
Henry Rabinovich sends this shot of his '75 RG. Lots planned for this bird, including a new engine and new glass all around. He promises to send an after shot as well.